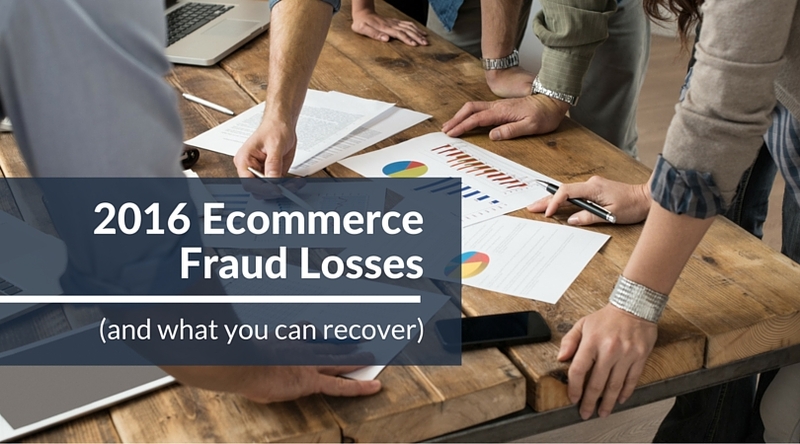 Our team set out to put a dollar amount on annual fraud losses for ecommerce, which is surprisingly difficult to ascertain. What is readily available to all of us are statistics to help us find the answer. We know that merchants have a big opportunity in recovering revenue from fraud. But when we found out just how much ecommerce merchants can recover annually, the opportunity got even bigger. How Much Revenue Does Ecommerce Lose to Fraud? Ecommerce will lose $6.7 billion in 2016 to fraud, according to data from eMarketer and LexisNexis. In order to quantify annual dollar loss from ecommerce merchants to fraud, we started with U.S. retail sales data. According to eMarketer, US retail sales amassed to $4.785 trillion in 2015. In 2016, US retail sales will approach $5 trillion. To estimate fraud losses for 2016, we held true to eMarketer’s forecast and projected 2016 retail revenue to be $4.95 trillion. To determine what volume of the $4.95 trillion will be generated from ecommerce, we looked to the good ol’ US Department of Commerce. Census data show online sales representing 7.3 percent of all retail sales in 2015, up 60 percent from 2014. Some assumptions need to be made here to determine the ecommerce percentage for 2016. As such, it is assumed that ecommerce share will increase in 2016 by 60 percent. Resulting in ecommerce accounting for 11.6 percent of retail sales in 2016. For our purposes, we’ll omit lost or stolen merchandise from our calculations. When we remove losses from lost or stolen merchandise from 2016 fraud losses as a percentage of annual revenue, we’re left with 1.16 percent instead of 1.47 percent. Now, we can determine how much of ecommerce’s fraud losses can actually be attributable to true fraud, chargeback fraud, and friendly fraud. Then, we got our calculators out. Now that we understand the magnitude of ecommerce dollar losses to fraud, is there anything we can do but wait in fear? No way. After removing lost or stolen merchandise from the breakdowns provided by LexisNexis, we see that true fraud accounts for 29 percent of fraud losses. While chargeback fraud and friendly fraud represent 71 percent of losses to fraud. Which means that ecommerce merchants could recover $4.8 billion of the $6.7 billion lost to fraud. Will your business be one of those merchants? However, merchants should not devote hours to managing responses to instances of friendly and chargeback fraud. The average employee spends 2 hours responding to a single chargeback, but only recovers 20 percent of efforts. Merchants need to focus on their core competencies, not chargeback management. 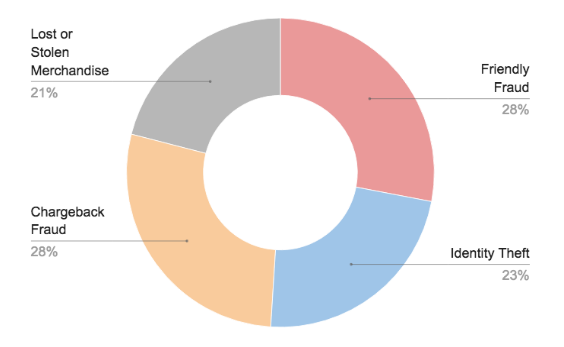 Merchants should instead recover this revenue using the right chargeback management software. The right software allows merchants to create workflows that automate and streamline dispute resolution, revenue recovery, and merchant account protection. Not only does this allow for chargeback response management, but it allows merchants to reclaim the time and lost revenue needed to scale operations. Ready to start reclaiming revenue? Getting started with Chargeback is easy, just connect your merchant accounts and watch your transactional data come to life in a dashboard that equips your team with the visual data, notifications, and insights needed to make informed decisions. Oh, did we mention this is totally free? Because Chargeback Reporting is free and always will be.